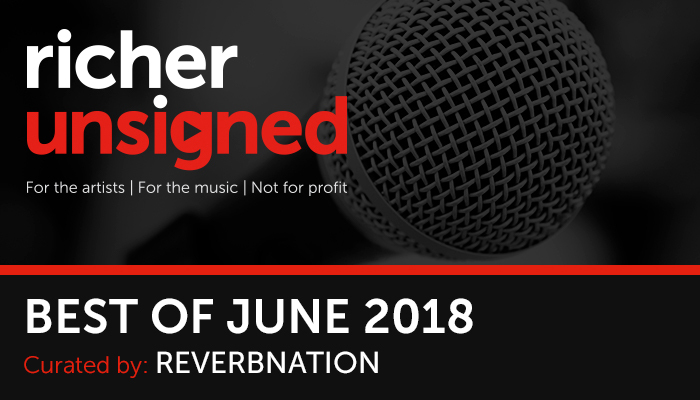 Things are (slowly) starting to get warm and sunny here in London, which is why we’ve teamed up with ReverbNation to bring you the Best Of June playlist, with tunes hand-picked to match anything the weather can throw at you! ReverbNation takes an “Artists First” approach, with powerful career management tools, A&R capabilities, and far-reaching industry relationships. Since 2006, more than 4 million artists from across the world have used ReverbNation to connect with venues, festivals, brands, blogs, labels, and fans, allowing them to advance their careers and grow their audience.